We are a dedicated plumbing, heating, and air conditioning company in Livingston, NJ. We believe that your home or business should run smoothly. After all, a properly working home leads to a more pleasant and stress-free life. With Rite Rate, we will strive to have your HVAC and plumbing always working top notch. When it comes to plumbing, we've got you covered. Our highly qualified plumbing services include drain and sewage cleaning for sinks, showers, tubs, and outdoor drains. We also offer pipe inspections, water damage and flood assistance, and various other plumbing related services. Another specialty of ours is our highly trusted heating repair in Livingston, NJ. Whether it's an install or repair, our services are available for you. Our technicians are experienced in working with hot water heaters, packaged heat pumps, central heating, furnaces, and much more. Do you need a reliable and affordable air conditioning company? Our air conditioning services are top-notch. We offer services involving central air, air conditioning systems, AC condensers, thermostats, forced air, packaged air conditioning, and other AC maintenance, installation, or repair needs. Rite Rate is the most reliable air conditioning company in North NJ! Why choose our plumbing, cooling, and heating company? Our company is filled with highly skilled and qualified plumbers and technicians. We strive for customer satisfaction. 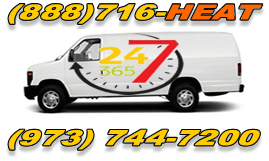 While some companies will leave you waiting for days, our company offers a 24-hour emergency service. When things are not working properly, our company is there to help you out. Our emergency services will ease your stress and get your home back to working the way that it should be. Our company strives for excellence. We will spend the time that you need to get everything working properly. Whether it's an air conditioner installation or a drain that needs fixing, we are there for you. Contact us today to request our services. We guarantee that you will be satisfied with the results of our plumbing, air conditioning, and heating company in Livingston, NJ.